Product Article Number 6ES7313-6BE00-0AB0 Product Description SIMAT.. Product Article Number 6ES7313-6CE00-0AB0 Product Description SIMAT.. Product Article Number 6ES7314-1AE01-0AB0 Product Description SIMAT.. Product Article Number 6ES7314-1AE02-0AB0 Product Description SIMAT.. Product Article Number 6ES7314-1AE03-0AB0 Product Description SIMAT.. 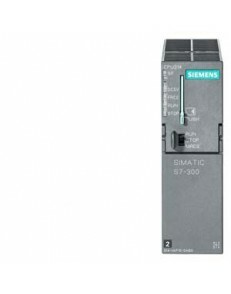 Product Article Number 6ES7314-1AE04-0AB0 Product Description *** S..
Siemens SIMATIC S7-300, CPU 314 FOR EXPANDED TEMPERATURE RANGE INTEGRATED 24 V DC POWER SUPPLY 24 KB..
Siemens SIMATIC S7-300, CPU 314 CPU WITH MPI INTERFACE INTEGRATED 24 V DC POWER SUPPLY 48 KBYTE WORK.. 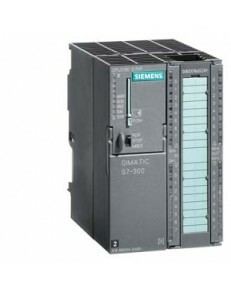 Product Article Number (Market Facing Number) 6ES7314-1AF11-0AB0 Produ..
Siemens SIMATIC S7-300, CPU 314 CPU WITH MPI INTERFACE 6ES7314-1AG14-0AB0..
Siemens SIMATIC S7-300, CPU 314 IFM COMPACT CPU WITH MPI, 16DI/16DO, 4AI/1AO, 2 X 40 PIN, INTEGRATED..